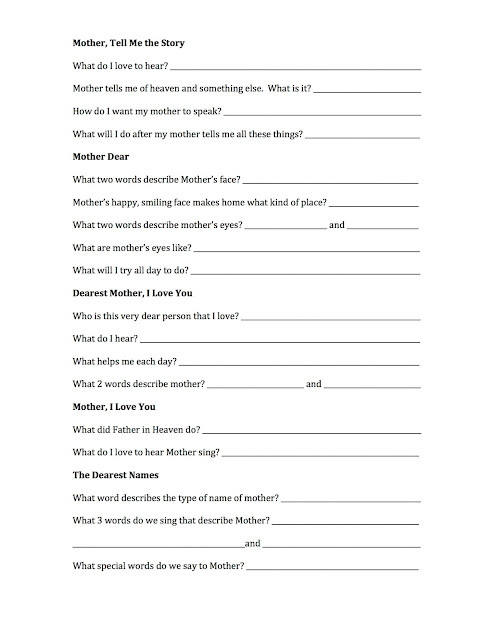 Because you will be exposing the kids to unfamiliar songs, I recommend playing each song on CD (or you and teachers sing them with the piano) AND posting words like I do HERE. I have 2 separate lesson plans for Jr. and Sr. 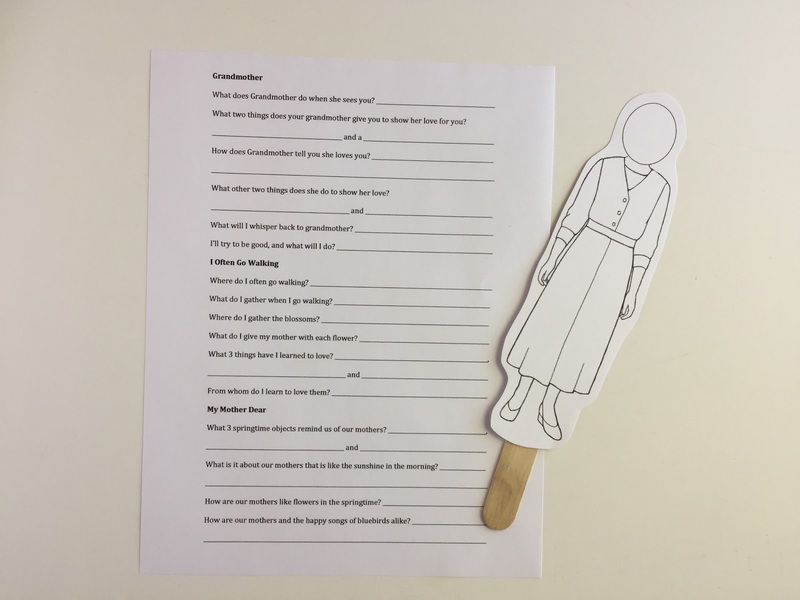 If you have a combined primary, I'd probably recommend the Jr. lesson plan while verbally asking all the questions listed on the worksheet to help engage the older kids. For Jr. 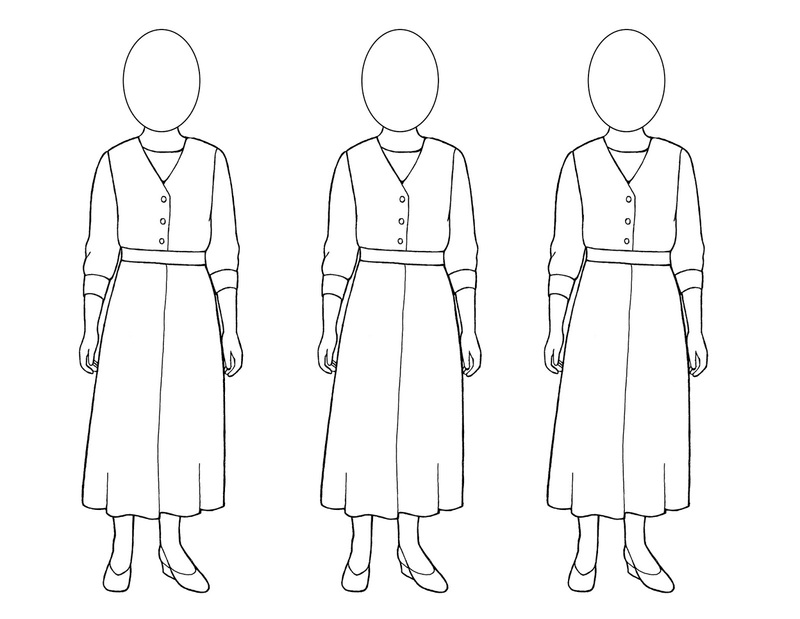 I created this printout of a mother for them to color as they listen to Mother's Day Songs for part of the time. Download my document HERE. The original image is from lds.org HERE. I printed mine on white card stock (optional) quickly cut out each image beforehand. 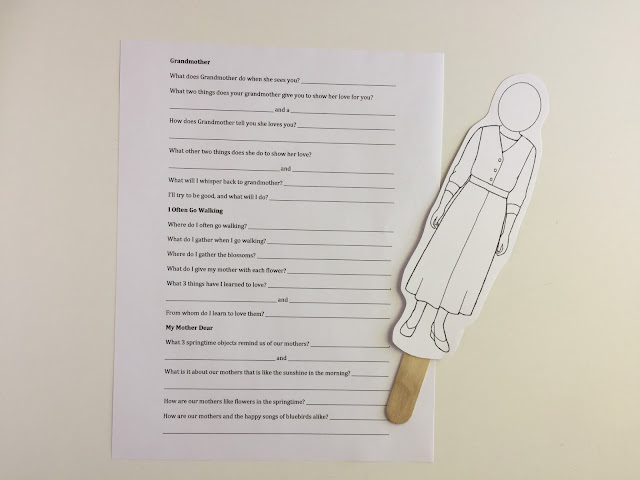 The colored picture can then be adhered to a popsicle stick and used as the children sing along and/or listen for certain words of the various songs to be sung [mother, love, etc.]. They can also use them to pitch lead. 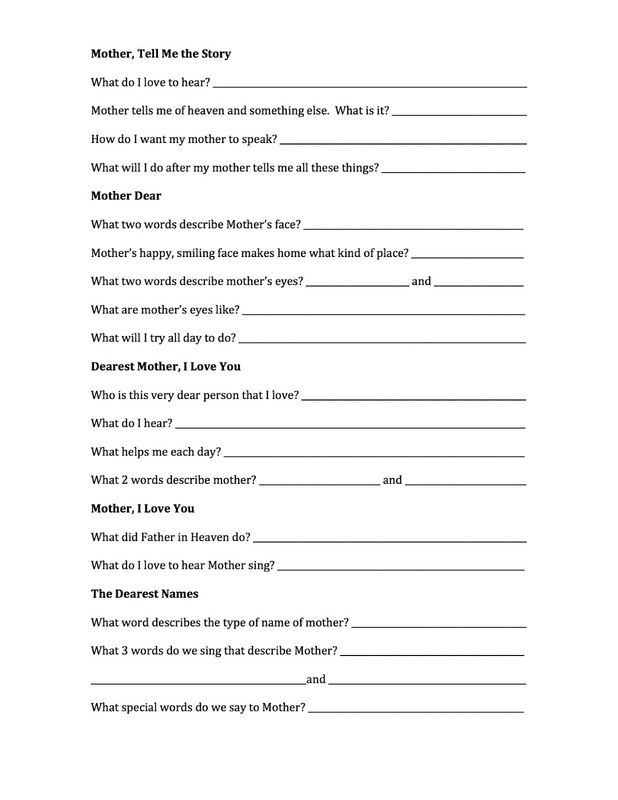 It could potentially be used as a Mother's Day gift as well from the children to their mothers. 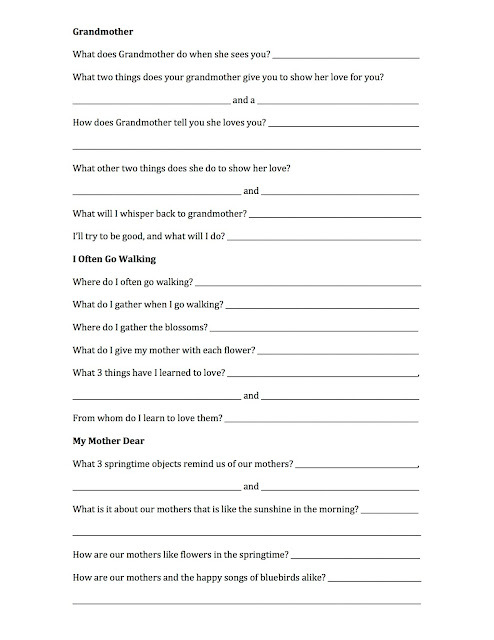 For Sr. primary, I created this worksheet for them to fill out with a pencil as we listen to each song. Download my document HERE. Make double-sided copies at the library so each child will only receive one paper. Between each song, post the words and sing along with the CD to check answers. You can check out all of my Mother's Day posts HERE as well.